From the (605 N): Exit Del Amo blvd. and turn left on Del Amo heading west. Drive 2 miles and turn left at Bellflower (stoplight). Drive 0.3 miles and turn right on Arbor road (next stoplight). Arbor Road church is 0.2 miles on the left. Park in the parking lot before passing the church. The offices are in the back building next to the parking lot. Go through the passageway between the buildings and turn left into the clear double doors. There is an elevator on the left immediately after entering the building; take this to the 3rd floor. Doors lock at 4:30pm. Therapist will meet you at the clear double doors and walk with you to the main offices. From the (91 E): Exit Bellflower and turn right onto Bellflower heading south. Drive 2.3 miles then turn right onto Arbor road. 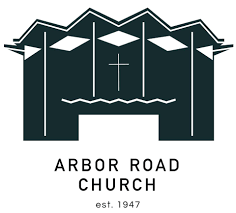 Arbor Road church is 0.2 miles on the left. Park in the parking lot next to the church. The offices are in the second building, behind the front building, next to the parking lot. Go through the passageway between the buildings and turn left into the clear double doors. There is an elevator on the left immediately after entering the building; take this to the 3rd floor. At the third floor, turn left at the end of the hallway and right into a waiting area. If lost, follow signs for “turning point” or “church office”. Once you arrive at the Church/Office: Meet therapist in outdoor walkway in front of clear double doors of rear building. Therapist will walk with you to office.